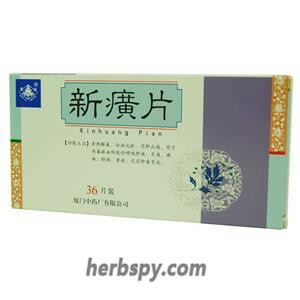 For sore throat, hoarseness,dry mouth,difficult to swallow. Clearing heat,engendering liquid and allaying thirst. 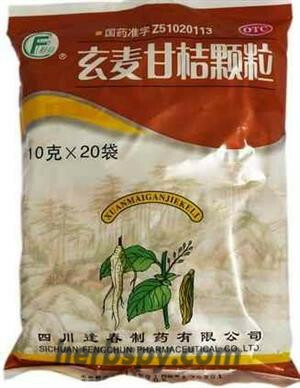 Platycodon Root,Borax,Mirabilite Crystal,Natural Indigo,Borneol,Menthol,Medicine Terminalia Fruit,Liquorice Root. 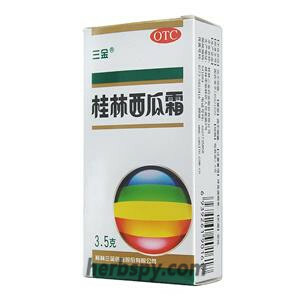 Excipients are ethanol, sucrose, magnesium stearate, dextrin, peach gum, talc, insect white wax, food coloring agent. For oral use after meals,4-6 tablets twice daily or by medical ordor. 1.Avoid alcohol and tobacco and spicy food during taking this product. 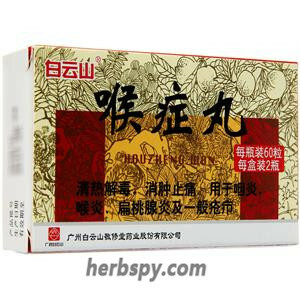 2.It’s not appropriate to take nourishing chinese medicine wihle taking medicine. 3.Patients with diabetes,high blood pressure, heart diseases, liver disease, kidney disease and other severe chronic diseases shall take medicine under guidance of physician. 4.Cracked voice,you should go to the hospital in time. 5.Children,Pregnant women,lactating women,frail elderly,spleen deficiency and constipation should be taken under the guidance of a physician. 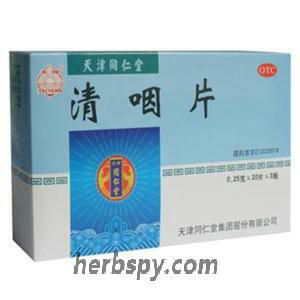 7.Strictly according to usage and dosage, this product should not be taken for a long time. 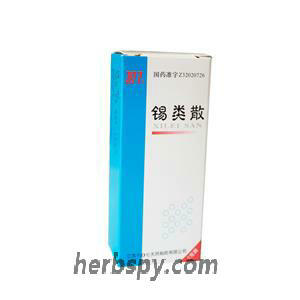 Stage Food and Drug Administration Approval number:Z12020018.